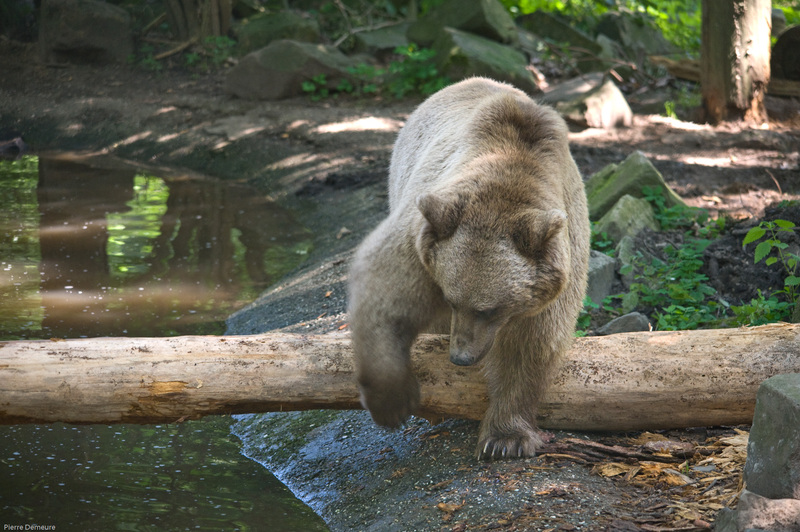 Features: Duuk is a big blonde bear, just like his brother Diesel was. Duuk, Diesel and Igor used to roam the Bear Forest together. Since the passing away of Diesel Duuk and Igor cling together. History: Duuk used to live in a zoo in Georgia together with Diesel and Igor. They were locked up in a small concrete enclosure. When the zoo was closed down due to lack of funding, a new home had to be found quickly or all three bears would have had to have been euthanized. Luckily Alertis was notified and within several months the three bears moved to the Bear Forest. Special remarks: Duuk got his name through a name contest on the Dutch national television channel RTL4. Harm Gringhuis and Nelleke Eerens have adopted Duuk for another year starting from 20 February 2019!